Lowell, Inc. is pleased to announce that Edward Jaeck, has joined the company as their new Vice President of Operations. Edward comes to Lowell with extensive experience in Operations, Quality, Supplier Development and GD&T. He will oversee the Operations and Quality functions at Lowell. His experience includes leadership positions at Intel and most recently Medtronic where he was a Quality Core Team Member and Principal Design Assurance Engineer. Edward holds a Bachelors degree in Mechanical Engineering and Masters degrees in Industrial Engineering from Arizona State University and Engineering Management from the University of Colorado. 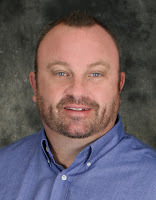 In addition, he is a Six Sigma Black Belt and a Senior Certified Professional to the ASME GD&T standard.